WHY OUR SURFACE GRINDING MACHINE ? To describe such term, we must have to explain only about our infrastructure. We believe that no words can explain quality than quality itself. Our investment on R & D today will definitely help your qualitative work tomorrow. Technology now-a-days is changing with speedy mode. To cope up with the challenging and complex need of varied industrial sectors, our professional experts offer suitable and profitable solution for the same. With the help of our sound infrastructure, we have developed innovative designs to implement successfully all kinds of customized solutions. We make precise work today to make your work precise tomorrow. 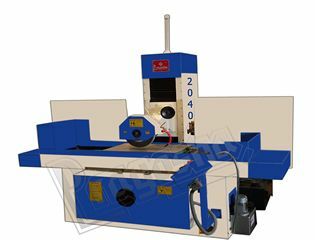 Our user friendly series of surface grinder machines are available with different configurations and also with CNC facilities.